We will definitely do business in the future. Thanks again, (and keep in touch) "
I have received the pendant I ordered. It is absolutely exquisite-- even more beautiful than I imagined it would be! Thank you for your promptness in getting it out to me and for your wonderful customer service. I am so happy to be able to give this gift to my husband of Christmas morning. 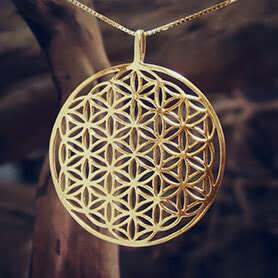 I have just recieved beautiful Flower of life pendant. Thank you somuch, I love it!!! Please say thank you for David. I am writing to let you know that the order arrived a few days ago. Thank you very much for the beautiful things! My ring arrived and it fits! Thank you very much and David especially of course! We wish you and David merry christmas and a happy, joyful, peaceful and healthy 2010. I have received the pendants today. Again- thank you and David so much for this beautiful work. The piece which David made for me has arrived in time, and it is lovely. Thanks so much. I ordered the "Golden cut" (Phi) piece because my wife won the "Golden Cut" Innovation prize from the Research Institute (a conglomoration of Universities working with media and computers) here in Denmark, for her work on Second Life.
" Thank you so much for your wonderful service. I received the necklace and it is beautiful; I cannot wait to give the gift. Happy and Healthy New Year "
I'm so excited....I just received the pendant and it is beautiful!!!!!! Please give my thanks to David....he is quite an artisan and I appreciate all his hardwork. May you all have a wonderful holiday and healthy and prosperous 2010!!! " I would like to thank you for the wonderful ring. Yesterday I received it. David you have done a wonderful work and I'm very happy about it! I will surely buy again at your online-shop! Thank you so much for help and very fast delivery! And thank you for Davids wonderful work!! See you next time again :-) "
This morning I received my "Flower of Life" jewel ! It is very beautiful and I am already wearing it with great joy ! Thank you so much for taking such good care of my order. I wish you and David all the best for a Happy, warm and wonderfull New Year ! Just a quick note to let you know I picked up the parcel today. I immediately fell in love with my Key of Love! It's absolutely beautiful and I have put it on straight away. I love it's delicate features, what an amazing craftsmanship. Thank you David! Is it my imagination that I've had a few "lucky strikes" ever since I put it on ? About 5 neighbours and passers-by helping me out to get my car started this afternoon. The carshop that replaced my car battery for free. Well, even if it's just my imagination : it feels like it instantly brought more love into my world. Love from others, love from me. And the loving intent of the artist? Thank you both! I will wear this wonderful jewel with pride. I wanted to wish you a merry Xmas, but found on the internet that it's actually Hannukah that's being celebrated where you are. Happy Hanukkah then. Even if today's the last day. Love (you added to it... !) and light, "
I can now tell you that I have recieved a packet containing af were fin giftbox and a lovely jewelry. I am sure that my doughter will be pleased with here present. my pendant arrived yesterday and Ii like it very much! I thank you and David sooooo much! God bless you and I wish you a merry christmas "
" Hello there, received them and thank you! Beautiful pieces and very grateful. Thanks "
" Hello Yaron and David ! I will send you a photo when I will can wear it : 24 december ! and I will announce of my sensations with it ! Have a good time for the end of this year ! and VERY HAPPY NEW YEAR 2010 with JOY and LIGHT !! the rings arrived today and I'm very happy with them. Thank you for all the trouble you have taken. Thanks to David for his wonderful work. parcel is here: very, very nice, really, superb! I wish you and David everything good and God´s blessing! Many thanks, the gold merkaba arrived and it's absolutely beautiful, so intricately crafted - brilliant. Am very happy with it. When I opened the box and felt it this piece had such a calm/warmth to it that clearly this comes from David's heart and putting that pleasure into this work, I decided I wouldn't wear it until christmas day and wait, but I laid the box on the pillow next to me and went to sleep and had the most amazing nights sleep, felt really good today.
" I finally went to pick it up today. It's beautiful. My boyfriend's Mayan and is planning to get the hunab ku tattooed when he can, but I wanted him to have this for now. Thanks! " received today. Very nice pieces. Just wanted to say thank you very much for my order. We are really pleased with the rings and expected them too take much longer to arrive, so it was a really nice surprise when the postman came to the door this morning. We look forward to buying more from you in the future. Yaron, again , like my rings and my merkabas, my compliment how beautifull and precious tiny and perfect this key is !! ! Thank you again soso0o much! For the joyfull and happy designs & for all the good work that you are doing down ther in Israël for people all over the world 4spreading light and love! Warmest regards and blessings in return, "
" I just wanted to let you know that the Merkaba arrived today safe & sound. I quickly looked at it before wrapping it up as a Christmas gift for my wife. It looks great! Very unique and beautiful. I'm sure she will be pleased with the beauty, uniqueness, and the meaning of the piece. Please thank David for me. I am sure that I will be purchasing more of his work in the future. I have just received my order and it's beautiful. Many thanks and you can be sure I will not only recommend you to my friends, but I will be placing future orders. Thank you again and Happy Holidays, "
My package came today, and I am very pleased again with David's work! I will be able to send this pendant to my son for Christmas. I am sure he will be pleased as well, and I'm always very happy to have the scrolls explaining the meaning behind each piece. Please pass on my most sincere appreciation to David, and to you for your outstanding customer service. Many blessings to you, David, and your families. " I received the “I am beloved's” gold pendant with ruby today. It was wrapped, and then immediately unwrapped as a Chanukah gift. My wife loves it; I am not sure if she will ever take it off. David is a true craftsman. The pendant is as beautiful as I had hoped and will be treasured for a lifetime. I received my ring today and I couldn't be happier with it. It's absolutely beautiful, but then that's what I expected. :) Thank you so much for everything. David does beautiful work.
" This pendant is beautiful, one of many here that I love, but the first I have received as an early holiday gift. In person the pendant is a perfect size, it's pretty, and hangs very nicely on the chain. Thank you for making such a beautiful and meaningful piece of art, I love it. " " Thank you so very much, the piece is just what I expected, and I am sure my wife will love it. God's blessings on you all Regards "
I received the pendants today. OUTSTANDING. Thank you! " " Our order arrived today! It is beautiful -- my wife will be quite happy -- I hope it's symbolic nature works. Thank you for your quick work. Have a successful, healthy, and peaceful New Year. " I received my Phi pendant and love it! It carries a lot of meaning for me as an artist and I was so happy to have found your beautiful work! it's so beautifull!!! Thank you very much!!
" Hi there Yaron and everyone at Ka Gold.. emailing you to advise my parcel has arrived safe and in good time.. thankyou to David again another wonderful piece of art.. wishing you all a very happy and peaceful xmas and new year.. many blessings from down under.. "
I received my order today. I am impressed with how quick it got here, and that at no charge! The two pendants are very lovely, and will be worn with joy. The ring looks very nice! I received the necklace this week and it is beautiful. I can already feel it shifting things in my life. Thank you!! I received the jewlery. It is beautiful. Thank you and please thank David for me. It is not the first time I buy from you and it certainly won't be the last time. The rings have recieved they are lovely. Thanks very much. Best wishes to you. " " I have received the ring and it is beautiful. Thanks David so much "
I recieved my order on thursday, safe and sound. Please thank David for me for another lovely piece and thanks for keeping me updated. " Today the jewellery has arrived. Many thanks for the joy you have done With it to me and my wife. I wish luck health and love the whole team of the whole heart all the best. Greeting from Kassel Germany. " " I just recieved my Hamsa SAL pendant today and it is so beautiful. It is truly a work of art, thank you so much. " Earlier this week I received the Key of Love necklace. Thank you very much for this beautiful gift. I just wanted to confirm that I received the ring this week and it is absolutely gorgeous! I am so pleased and thoroughly impressed by the superior quality and craftsmanship. I look forward to wearing it for the rest of my days. Please pass on my regards and a big thank you to David. Thank you again for all of your help with getting this shipped. You definitely have a customer for life!
" Just recieved the pendants and they are lovely! My daughters love them!!! Please tell David. Thank you so much, and I look forward to doing more business with KA Jewelry. Blessings to you also. " My ring arrived on 11th November the day after my birthday so it was like an extra present. It fits perfectly and as I was born in the year of the dragon is of extra significance. Will now be saving for a bracelet. I received my ring today and have it on already. It is truly beautiful and it definitely has a calming effect on me. I picked up my BEAUTIFUL charms from the post office last week and I wear my Merkaba everyday. Thanks, "
On friday I finally got my jewelry. They are beautiful! I used it on Shabbot, and Iam still using it. I am so happy with it, once again thank you very much for the exquisite jewelry. It`s a merit having your jewelry. Keep me in touch when created something new. I received the ring yesterday and it is beautiful and I love it. I will be in touch with you next month. Thank you for your service. I hope you have a happy and healthy holiday season. Many blessings to you and all. " YES ! I got It ! today your sent is arrived. It's like I hope. Magnificent. a great thank to you. Best regards(very very happy) "
" I have received the Items. I want to say thank you, both of the items (Genesa Cyrstal, and The Key of Magic) are perfect. both of the items were gifted and she absolutely loved them. I look forward to purchasing more of your works of art. " " Hi David, just wanted to say that I received the necklace and it is beautiful. I received my jewelrys and I am really happy. They are lovely! I have already received my purchase and I am very happy with the pendants. I am looking forward to wearing it. Just wanted to let you know that I have received my Four Winds ring today. It is absolutely beautiful. I am so impressed with the ring and your efficiency! I will be referring my friends to KA. Thank you! " Ive received my ring! Its fabulous! Thanks! and say hi to David! " I just want to let you know that the flower of life arrived today. She really is Beautiful.
" I have the piece and it's beautiful!! I am very happy with it. Thank you so much for everything! I will be ordering again soon. " " I received the ring today. My grandaughter will be so happy. Beautiful work.
" Hellooo David, Yaron and all at Ka Gold... just letting you know my parcel arrived safely here in Australia... I am very happy as usual, never disappointed with your lovely jewellery... thank you so much for excellent friendly service.. I am placing another order this weekend, a gift for a friend.. I thank you again, very grateful... peace and many blessings to all... "
I am writing this email to confirm that I received my order on friday afternoon, Thank you so much to David and you. when I opened the box and saw the pendant, I was very very happy and at the same time I felt a strange sensation of peace with myself, because I am looking for "this" special gift for my sister's birthday (for her 50th years old) since may, and the only thing I know, in my heart, that I must find it before december 2009. So when I gave it to her on Saturday afternoon, she said to me that it was "Her"; amazing as if she waited this pendant for a long time. Just a note to tell you that I received my pendant today; I am really looking forward to wearing it and, though doing so, figure out why it resonated with me so strongly when I first saw it. Blessings also to you and David. With appreciation, "
" Hello Yaron, well guess what ! I got the amazingly beautiful flower of life today and absoultly love it! please tell David I love the gift he is sharing with the world and it is an honor to wear this Divine reflection of all that is. Blessings to you and yours. " Thank you so much for the ring. It was so beautiful. I felt a profound elegance and delicate touch exists in the heart of its maker. We received the rings yesterday and the look fabulous and fit perfect! Thanks for this fine workmanship, the engraving also looks superb. Thank you, it is beautiful! " " Yesterday, the packet has arrived with the jewelry! I'm very very happy to have received the jewelry and feel with how much love and appreciation have been created. I feel the power and the assumption would be aware and recognize it as a "light body". I was surprised that I had to pay no tax and customs, and everything went perfectly simple! love and blessings from home to home "
" My order has arrived and the items are lovely and just like the pics on the web. I purchased the very small merkaba stars to use as earrings and the size is perfect. I love the 5 metals ring and will be ordering the I think...love rings for my close friend and her daughter, my DD also. I am very happy with the service on this order and the actual items, so thank you very much. I will wear these with a joyful and appreciative heart. Be well, "
" Just wanted to thank you for my beautiful new pendants. I'm sure i'll be ordering more things in the future. Thanks again. Shalom, and in health "
" I has received, many thanks, very much are pleasant. I hope it will bring me good luck. " " The pendant has arrived and it's beautiful! The pendant with the divine cabalistic Three of Life is here and I'm very, very pleased. And it has arrived at time for my birthday.
" Hello. I received the rune pendant today. Thank you, it's beautiful!! I received my "journey of life" ring today, and it left me speechless. It's a fantastic piece of jewellery, fits perfectly, I just love it. Thank you so much for your amazing work, I'll certainly order again in the next few months. I received my order over the weekend. I am very pleased with my Golden Spiral ring and I'm sure my friend will be happy with her new jewellery. I just received all the ordered items. All are beautifully crafted. Received the piece today and it is beautiful! Best wishes for the holiday season. " J'ai bien reçu mon paquet et je suis très satisfaite du pendentif. Iam writing to tell you that I had my star and iam so very happy coz its beautiful.
" The double octahedron came today. Thank you. It is beautiful and will make a great present. " " I recieved my order. They were both very nice, and I look forward to aquiring more of your treasures. Thanks, "
I've just received the ring! It's beautifull! I received my items Monday and am really pleased with everything. I ended up puting the Genesa Crystal and Merkaba on the same cord and the Mars emblem on a chain that already has a medallion of the Hindu diety, Muruga on it. Mars is Muruga's planet and is the reason I bought that item. The Sri Yantra I have on the cord it came with. I found your website when I did a search for "Flower of Life." I thought about getting a flower medallion but as I had just heard of it, I decided to wait until I learned more about it. I sort of became enamored with the goddess aspect this year, so I immediately knew I wanted a Sri Yantra and I have been interested in Muruga for years, so opted for the mars medallion instead of the Flower of Life. I am also familiar with the Genesa Crystal and Merkaba and I liked how they looked on your website, so I ordered them too. The quality of all four pieces are great, the website pictures only give a hint of the craftmanship and beauty of the pieces. I have worn the crystal, Merkaba, and Yantra almost continuously since I received them and the Mars mediallion on Tuesday as that is Mar's and Muruga's day. Thank you for the sacred image jewelry. I will be sure to recommend your business to anyone interested and am hoping to purchase more pieces in the future. The package arrived on monday. I am absolutely thrilled. It is even more beautiful than I imagined. Thank you so much! I've just received the jewel, I think she will be very happy. Thank you a lot and again shalom to you and David. thank you so much!!!! " I have received my pendant yesterday, and I very satisfied about it.
" Received my ring yesterday. Sooo excited. I love everything it stands for! " I have received the ring. Its amazing! Thank you very much for the quick and responsive service. My girlfriend will love this gift. Please give David my Thanks. Happy Holidays to you and your team. I received the order this past Saturday. Everything is absolutely beautiful! I wear it every day. Thank you so much, and please thank David as well.
" Thanx for the Golden Spiral Silver pendant,you do beautiful work David. Blessings to you and everyone at Ka-Gold, "
Just wanted to let you know I have just received my order. Thank you and David so very much, the item is stunning and your customer service is absolutely first class and greatly appreciated. Thank you again, Take care "
I just wanted to let you know that we received the beautiful Merkaba necklace and I couldn't be more pleased. It is absolutely gorgeous and I am in awe of your craftsmanship. I have already shown it to friends and neighbors and sent your website to friends who I know will be interested in your creations. Bill and I will definitely be back in touch soon. The ring has arrived on Friday 4th Dec 2009 and it fits very well and is really beautiful. I appreciate your work and I will recommend you as well as I will order further rings. It is beautiful, thank you very much. Have a wonderful time for the end of the Year and the New Year as well. Today the mail man delivered a little package from Israel. I must say it is even more beautiful than I expected and that I couldn't wait to wear it. today the wonderful labyrinth that you made has arrived here. I really love it. It is an outstanding piece of silverwork. Many thanks! " The mer-ka-ba jewelrys are beautiful, thank you very much.
" I've got the ring, it's beautiful.
" I just received it today. Your work is wonderful. Thank you. I received the small Merkaba in good order. It is subtile and beautiful.
" Greetings, received crystal yesterday, I am very happy with it. I will visit again soon. Thanks "
" I have received the necklace and it's absolutely beautiful! Moreover, the very descriptive insert included is a wonderful addition. I received the pendant this afternoon. It looks beautiful and I know my son will be thrilled. Thank David for us and thank you for keeping me updated. It’s very nice doing business with you, again. " " I’ve received my order. The necklace is beautiful!! I am SO thankful that it arrived on time. I am filled with joy. I know this gift will be treasured for years!
" Hi David…thank you very much for this very nice hamsa ben porat silver! I wish you a very good time. With a lot of greetings "
I received my items this morning and they are beautiful! Thank you so much! I'm very happy with them and I appreciate all your help. I received the ring today. I want to say thank you to David for this wonderful art - again and again! The order is arrived today. Thank you for your job ! Very nice ring. We received the ring. It is beautiful, perfect. Anyway, thank you. " Thank you for the high integrity of your company. The Flower of Life pendant did arrive, and it's awesome. I will keep it and wear it for sure. ... And it's really wonderfull !!! Thank's a lot to David for this gorgeous peace of craftsmanship And for your perfect processing of my order! I received my order today. Many thanks. I absolutely love the jewellery. Many thanks and blessings, "
I just want to tell you I received my shipment and am so happy with it. Many blessings to you and David! " We received the Gordian Knot about one week ago. We waited till our daughter came home this weekend. She was very glad to get it. Thanks.
" My son absolutely loves it! The ring does fit his ring finger on his right hand, and he likes it there better, BUT it is a bit loose. We took it to a local jeweler who was awestruck by the ring and said it was probably the finest craftsmanship he had ever seen. David (my son) does not want to take it off! My ring is fine. PEACE "
Yesterday, 06.11.09, I received the Star of David I ordered. I must say that the Star is very beautiful and original and I like it very much. I am glad I received it in time, because it´s a present for my sister´s birthday, the 8th of november, and I am sure she´ll be happy to have it. Thank you very much for your work. I've just received ring and pendant now. There are so beautiful ! I thank you very much for your support and also David work !
" Thank you very much, I received today the package. 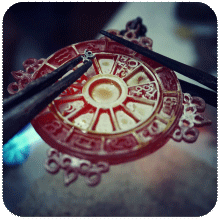 The two pendants are very well finished and have a charmful design. I believe in the power of the symbols and hope that the magic fulfilled. The gift packing is imaginatively, which is pieces of jewelry was prettily packed dispatched. I am very content with the commodity and the service. I buy very gladly again. I received the ring today - it is beautiful. I am proudly wearing it right now.
" I recieved my order and I am very pleased. " Thank you for sending me two 5% coupons!
" The package arrived on Thursday! Everything went fine. Thank you very much for the immediate attention. I received the flower of life necklace's just moments ago. They are beautiful. Again many thanks and love the necklace's. Thank You! " I received the pendant and it is lovely! Thank you for all your assistance, "
" Hello, I haved received my necklace and it is beautiful. Thank You and Thank David for me. " My hamsa arrived today and it is more beautiful than I had hoped. I didn't realize the craftsmanship involved until I actually held it my hand.. Please thank David for me, and thank you for keeping me updated on the status of my order. I am so pleased with my purchase. I just had to write and tell you that when I first held my hamsa there seemed to be this warm energy about it and that night, and the next, I had very intense, but extremely helpful dreams. I felt a bit confused until I went to the testimonial page and read that many others have had the same experience with their pieces. it's like magic! I am so grateful I came across your website. please tell david his work is treasured. this is different from any other piece of jewelry I have ever owned. " We've received our order and we liked it! Thanks and keep up the good work! I have received the ring and pendant. They arrived saturday 31/10/09. They are beautiful! many thanks for this wonderful ring. I love it. One day after my birthday and one day before going back to China - so it seems to be a good sign. It very beautyful and I'm pretty happy about my choice. I did receive the ring 3 days ago. Of course, I am wearing it and I really so enjoy looking at the Hebrew. It is such a beautiful script with such life. Thank you for it and till my next order.
" I just wanted to let you know that I have received the ring and have subsequently proposed. She said yes. God bless you for helping this happen. The ring is beautiful. " I just received my 7 metals chaldean astrology talisman, and your talisman is absolutly wonderful, and the best is in its vibrations, magical and subtle very high vibrations , that’s what I feel when I wear it ! thank you ! We recived our order yesturday. We are enjoyed to your work. I just received my ring, and I am very satisfied. Its beautiful. Thank you, and soon I will be in touch again. " " Thank you Ka gold for the merkaba’s again”!! They areabsolute beautifull! I received the Christ consciousness jewel in good order. It is a beautiful piece of craftmanship. Please express my gratitude towards David.
" I received the Flower of Life...Thank you. Looks wonderful. May Peace surround you with love. " Thank you very much for the jewelry, which I received on 23rd Oct. It is very nice and I look forward wearing it as this symbol is right now very important for me! I am writing to let you know, that I received the jewels today. I think, that it has been worked and shipped very qickly. Now, I am lucky with the fine jewels - in the way, David has worked and espaccially in its great meaning - but I think it´s one and the same. Have a nice time - greetings with all my heart - namaste "
" Hello. The merkaba pendant has arrived. My boyfriend is very very pleased with it. A lovely piece of jewellry. Thankyou. " " I did receive my Prana Merkabah. It's beautiful and has much energy within it! " The pieces are beautiful! I've gotten lots of compliments. I received the jewelry as promised.
" I just want to let you know that I received my jewelry order today. I am very pleased with my purchases. Doing business with you has been a pleasure. Take care and all good wishes to you, "
Yesterday I received my postal package and Merkabas are very nice. My wife is very happy and me too. So" à bientôt" for next orders.
" Hi! I have received the ring and absolutely think it's great! Thanks you very much and I'm sure I'll be doing more shopping with KA down the road :-) "
Меня зовут Ирина. Мой муж заказывал у вас кулон Мер-ка-ба с гранатом. Кулон вчера доставили. Это украшение превзошло все мои ожидания. Мне оно ОЧЕНЬ понравилось.Я пишу чтобы выразить огромную благодарность за это. У нас в Москве да наверно и в России таких украшений не найти. А так как я занималась сакральной геометрией то для меня это больше чем просто украшение или знак. Это поиск истины. А вот и маленькое чудо: я сегодня первый день надела кулон. Утром отвела сына в школу и собиралась ехать на работу. Поймала маршрутное такси, но не успела войти так как искала деньги и меня опередила грузная женщина. Такси поехало. И через 150 метров попало в страшную аварию. Я не могу вам описать мои чувства в тот момент, но я почему то инстинктивно схватилась за кулон. Так что еще раз вам огромное спасибо за то что вы есть в этом суетном мире. P.S. Давид - СПАСИБО!!!!!!! Вы прекрасный мастер и наверно немного волшебник! " I just wanted to thank you so much for the beautiful jewelry. The moment I opened the package I felt giddy and overwhelmed with emotions. Never had I felt such a beautiful and positive feeling from something so small. The seven metals ring has not left my hand since I put it on. It has made me feel confident and balanced in the everyday things of my life. My winged scarab is amazing. I've had dreams every night which have given me insight to help me overcome current situations in my life. I have always had the gift of vision, but over the years with the stress and life, it seemed to diminish. With the help of your beautiful creations, my visions have become more clear and now take form in my daily life. I'd like to thank you with all my heart for your amazing gifts. Blessing of every kind, "
" Hi David, the package was recieved today in perfect condition. Thank you so much. " I received the package yesterday, it arrived quickly! The ring is perfect, I love it.
" Received, and gorgeous as always! " Thank you for your generosity- I do appreciate it! I received the Pendants today and as usual I'm delighted. In fact I'm going to a Spiritual events tonight & tomorrow, I intend to take them with me, so that they Receive a blessing too. I find it important that the person who crafts them has good intention & energy- & David certainly has! Blessings to all of you, "
It is beautiful. Thank you. " " Hi: I received my Flower of Life pendant yesterday and I am very pleased with it. It is very lovely. My thanks to David for creating such beauty! I just wanted to let you know that I received my pendant today and it is BEAUTIFUL!! Thank you so much! I am sure I will be buying more pieces from you soon. " I received my Star of the Magi last week. It is absolutely gorgeous and I feel very calm when I wear it. I have put it on a chain and it has the tendency to travel over to the left hand side of my chest near to my heart which is very strange but only adds to the unusual quality of the necklace. My only problem now is deciding which piece of jewellery to wear but I am wearing this one for now. I have received my order. It´s a very beautiful! Thank you! I received the beautiful jewellery two days ago and am very happy! It looks and feels wonderful. Thanks very much for all and warm regards, "
I received my pendant last Tuesday & I have been wearing it ever since. I have been following principles of The Law of Attraction for over 1 year now & frequently listen to Abraham-Hicks materials. Since wearing this pendant, I have had more "clear" downloads of information in my meditations and attracted some very positive business energy. Thank you for making this "Flower of Life" pendant available for people like me. Many Thanks & Infinite Blessings, "
" My jewelry arrived this morning, thank you so much – such quick service. " Thank you so much for all your help, you have been so kind. Thanks to you and to David, I finally received the rings and they were worth waiting for. One of them was a present for my husband's birthday, and he is really really happy with it. The design as well as the symbolic meaning: he is about to find his path, after a long search. To do what he was born for: to help people. This ring came at a perfect timing. This is so great, thank you both so much! I will spread the word about your business. Thank you so much for the beautiful golden spiral pendant, which arrived just the other day. I can't thank you ALL enough. It is truly a divine and blessed gift. Please let me know how I can help to spread the word about your work. Many blessings to you, no doubt I will be back to purchase more jewellery from you. You do remarkably beautiful work. " I have to say I’ve been wearing my special necklace now for several days and I have so much energy around this pendant. It feels like when I wear it it’s always “Butter side up!” : )) I will be sure and send a pic as soon as possible. Already some of my friends are very curious and interested in it. It’s amazing and I love it so much! Thank you once again for creating these master pieces of higher Light dynamic alchemy … beautiful support. I received the pieces and they look great, thank you very much for your attention and care. I will enjoy having these with me and will come into good use. Many blessings for you and David "
I just wanted to let you know that I have received this item - it is beautiful. I'm going to wear it every day. Thank you so much for everything!
" I received it and it is beautiful ! Thank you so much ! " I have received the pendant with David star for my mother and the torus ring. they are very beautiful, I have no words!!! thank so much for all. many blessings and kindly regards from Germany "
" The pendants arived here monday. We are all very pleased and happy about the services and the products. I will contact you for an other purchase. Yesterday my jewel was finally delivered. It is really very beautiful....everybody notice it when I wear it (and from now on I will do every day of course). Exceptional craftmanship, combined with the love for his work....that's what you see and feel immediately by looking at David's work. It will now take some time before I can order anything, but I keep folowing David's work closely! With all my love and blessings, "
I am writing to let you know I received my order. Please thank David for the beautiful pieces. I immediately felt their energy when I picked up the package. Since wearing the jewelry I have experienced increased energy and positive feelings. I also started having very vivid dreams after the first full day of wearing them. Thank you so much. I know these jewels came into my life at a predestined time, and I eagerly await the positive changes which I know are coming. Again deepest thanks! " I have received the beautiful 'Tetraktis' necklace. ! I received the talisman this morning. The talisman is beautiful, thank David for me please, I am wearing it now and I can really feel the energy! Thank you all again, "
the jewelry arrived safely end of last week. Thank you for processing it so quickly. 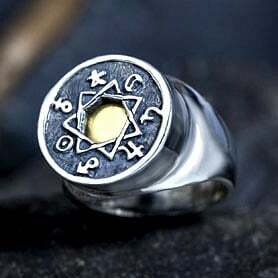 In the One Spirit "
see you soon for a new order, "
I have just recieved the Hebrew Happiness ring, and as usual, it is beautiful. David, your work serves as a constant reminder of the blessings I have, and I cherish all of the pieces you have made for me. Each is unique and each provides me with a sense of faith, happiness, and comfort. May blessings come to you all at KA gold, and to Israel. I received the beautiful pendant yesterday.
" I did receive the ring last week and it came quite soon after you shipped it. I like it very much. Thank you, "
I recived my order. Everything perfect, and really nice. I'm sure that I'll buy more of your items very soon. Thank you. " for all of your fine products.
" Greetings again---just to confirm item rec'd----as before really excellent!!! Many thanks to you all at Ka "
I received the Gordian Knot, finally! I am happy that the jewel it's here now. Thank you for all your attention! " Thank you soo much! They are georgous! Shanah Tovah! Hope you all had plesent high holidays and a happy new year! " Many thanks for Your excellent and beautiful work of art. The five metal ring arrived on friday. It is really a beautiful artwork I am happy to wear. Thank you very much for this beauty.
" Hi. The ring arrived yesterday. It's a great work. Thank you. " " Thank-you once again to all, I have received my beautiful ring "
I’ve just received it. Thank you for the great service. received the beautyful Flower of life pendant today.
" The order arrived today - the ring fitted perfectly and it's perfect, even better than I remember the other "5 metal" I buy last year (and was disgracefully lost).
" Greetings...I received my ring yesterday afternoon. It is absolutely wonderful, could feel the energy as soon as I put it on. Thank you so much for this wonderful and beautiful ring. " " I received the order today and it looks great. thank you once more and al lot of blessings 4 all of you "
I received my ring today and I just wanted to say thank you, my father loved it. I appreciate all the work that went into it and god bless.
" I received my package on Thursday morning just as I was leaving to go out-of-town. Perfect timing! I am thrilled with my Flower of Life ring -- it is beautiful! I absolutely love it and it fits perfectly. I received my order today for the Priestly Blessings Five Metals ring, and the silver Genesa Crystal pendant. I want to send my heartfelt thanks for such beautiful and meaningful pieces. The ring fits perfect, and I can already feel a sense of calmness, peace, and even hope since putting them both on. I wish you and your families many blessings and peace now and always.
" Received the Metatron's Cube in Silver, and it is stunning, filled with Light and great energy, more than expected, I must say. Thank you for your great work "
" Thank you, rings are beautiful, we like them very much. We received them on Tuesday. Thank you for the fast shipping! " " Thank you so much for the beautiful jewelry. I received it last friday, 1 week ago. So sorry for the delay in letting you know I received it. I've enjoyed wearing it and am excited to give the necklaces as gifts. They are so pretty! " " Dear David - I received my Earth necklace today, before noon local time. I can't believe how fast it got here from Israel - within 2 days! Thank you so much! It is truly beautiful and I plan to wear it often. In fact, I have it on right now. Looking forward to ordering again soon.
" I received my jewellery order a couple of days ago. All beautiful as expected and the Diligo Ergo Sum ring fits perfectly. Since wearing the ring I feel much more confident about where my life is heading and as a person that has spent her life trying to please other people i have noticed that since wearing the ring I have been quite confident and outspoken about what I want and what is best for me and the good of all concerned around me. I was quite surprised by this. I am sure your jewellery has magical powers!! lol :D With many thanks and love, Alison "
" Greetings and all best wishes to you---just to confirm ring received today---it is really excellent and a very unique item. Many thanks and and warm regards to you all. " " The goods have arrived. All beautiful as expected and the ring fits perfectly. With love and thanks. " " The package made it here yesterday. The pendant is beautifully made, and my husband loved the little box and parchment that came with it. Thank you so much! " " I have received my order. Many, many thanks for the quick delivery! All pieces are lovely like all other jewelry made from David what I buy. I am very excited.
" Thank you very much I received the pendant today and I am already wearing it. there was a powerfull energy coming from the pendant. Thank you very much. " " I am writing to let you know that the package has arrived today. The piece is exquisite. It never senses to amaze me the detail and workmanship that goes into every piece you create. You are a true artist and the vibration that the piece carries is of your gentle spirit. This is a birthday gift for a friend of mine and will be received with joy. It is truly my pleasure to do business with you and your company as well as receive such a blessed unique creation. Thank you so much and a wonderful day to you. " " Received this piece of art. Thank you so much! It is wonderful "
" I received my silver genesa crystal with amethyst today and I'm simply delighted! Thank you for your accommodating my specific requests about the amethyst. When the mail courier arrived today she fumbled with the package for what seemed like forever as if she didn't want to give it to me. When I finally opened the package I experienced an unusual sensation from the crystal. The best way to describe it is like a mild, gentle electrical shock. I'm amazed at how you constructed this pendant! I immediately programmed it with my specific intentions before putting it on. I strongly believe that this pendant is going to manifest my intentions in the very near future. A note to those searching for a purpose for your pieces; Genesa Crystals are energy amplifiers, simply put. The intentions of humans are pure energy forms. So if you have something in your possession that amplifies energy(your intentions) then you increase the chances of it(your intentions) manifesting in your life!!! " " I received the Gordian knot. I was very pleased for such speed!!! The pendant is as ususal perfect.
" I received the package today- had to collect it from the post office - actual delivery was Friday. Thank you - it is beautiful. The Phi pendant is a present for our daughter- it looks really nice. The Christ consciousness pendant I intend to carry in my handbag - because the story about "creating peace" in the environment that is on the website has inspired me. We need to create peace - just NOW very urgently. 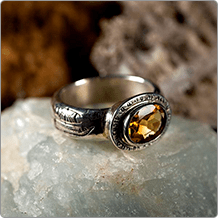 My friend in the States whom I had recommended the website also has received her package - and she was especially enchanted with the abundance ring. I am also very fascinated with this piece of jewelry - it is very special.
" I have received the Gordian Knot and Chaldean Astrology Pendant! I am very pleased! Thank you! " " Thank you for your kind and personal service. I wear the Pattern of Life ring everyday and I feel that it is something very special. In fact, I often catch people staring at it, but curiously, never asking about it. I think it holds a kind of smiling mystery that is better not explicitly known. At any rate, I love it and love wearing it. " Thank you for your creativity and reliability. Thank you for simply being who you are. Lightful thoughts from Basel, Switzerland. " I am verry happy, it is very nice.
" thank youvery much i just received the jewel and it is wonderfully good maded. Thank you and hope command as soon as possible "
" Hola, ya he recibido el pedido, muchas gracias, es precioso. Os deseo suerte y todo mi cariño desde España.
" thank you so much to have work so quickly! the jewels are really beautifull,.
" Todah raba. I am telling all my friends about your jewelry and looking forward to receiving the order. I am wearing the flower of life pendant today and have been having a good day. My husband Paul and I want to return to Israel again. Perhaps we'll get to meet someday. Blessings to you as well. I received the order today. What excellent service! I absolutely LOVE the designs and the workmanship is even better than the photos on your website. (Which really are quite good but not as good as seeing, feeling and wearing the jewelry!) The flower of life ring fits perfectly as if it was meant just for me.All of the pieces are so beautiful! There is a guy named Dan who makes and repairs jewelry for a jeweler here in Austin named Kirk Root. Kirk is a master gemologist, appraiser, designer and a really honest, kind man. Dan used to live in L.A. and says he did business with you and says you are "good guys". I am going to show him the jewelry I received as well as other friends of mine. I'll send you a picture of me after my daughter's wedding when things calm down. Todah rabba. " " The beautiful crane and cherry blossom ring arrived today. It is exquisite and you created another wonderful piece. Thank you for the quick and excellent service. " " Many thanks, received merkaba and ring of courage today. We are very lucky to have access to such spiritual pieces, wishing you peace and happiness. " " Received, beautiful pieces, Thank you. " " last week I received your parcel. Thank you very much. All pieces of jewellery are very beautiful and they agree with me well.
" We received the parcel. It is very nice. Thank you very much !!!! " " I'm just received your beautifull piece of jewellery.
" I wanted to let you know that I have received my pendant and it is beautiful.
" It took a while before i could answer, but this week I returned from Hospital after heart surgery. So at the day i returned I started my New Life with your beautifull Seven metals Ring! " " I received the mobius ring yesterday. Have a nice weekend!!! " " Please forgive me for not responding to you sooner. My order was delivered on the 12th, but I was not home to accept it. I picked it up on the 15th and could hardly wait. I have been wearing my merkaba since I got it, and will test those blessings today because I will be going to the animal shelter. There is one dog who has been abused and is very frightened. But I see something special in him. And he can be helped and become a wonderful companion for the right person. I'm anxious to visit with him. The other merkaba for our former veterinarian will be delivered to her on Saturday. I know she will appreciate all the meanings. The Mother Earth pendant is exquisite! I am certain my mother will truly love it. She will appreciate that she is helping our earth and being acknowledge for it. She will also be able to raise awareness because I'm certain she will be approached about her beautiful pendant! It all flows back to the beginning, doesn't it? Thank you for your excellent, thoughtful and thought provoking pieces. If you could see my wrist tattoo - it is written in Ancient Egyptian Hieroglyphics and says: "Dogs Are Heaven". The word "heaven", according to the Ancient Book of the Dead is both spelled and pronounced: Pet. Our dogs. I found that symbol many years ago and knew it was meant for some use in my life. I believe I have found it. Connecting the cartouche on either side is a blue lotus for rebirth and renewal. So, I was so very pleasantly surprised in reading your literature that the Eye of Horus was struck in to my merkaba! It is meant to be. Thank you both so much. I have a feeling I may be ordering more things in the future! " it's delivered on the 14th of September! Thank you very for the master piece "
I received my necklace today and it is beautiful. I am very pleased! Thanks and many regards. " that the ring has come. Wish a wonderful day. " Thank you for the prompt service and delivery. " " I just received the package today, like the last order the pieces are outstanding once more! The flower of life and alchemy pendant are particularly beautiful, so are the merkabas and pattern of mars of wich the energy is palpable...Dave you are a master craftsman. Your work breathes love and presence. thank you. . . Until next time, all the best..... and a heartfelt Rosh Hashanah with blessings!!! " " The ring has arrived and is very very beautiful! Thank you for your kind support. " " Hello, just letting you know that it safely arrived last week and it is even more beautiful than I thought it would be ! " " I received it today and it is beautiful. thank you. " " Just wanted to let you know I received my Merkaba today. I am looking forward to starting my healing process, and will wear it in good faith. " " I just received the package. Thanks very much for the care you take with making the jewelry and for the the quick sending!
" i really love my order i resive the jewelry,the 09/10/2009 and i very please with i just let y know that i am so happy and tanks so much for the amasing job the y do on my orderd, and tanks again "
" i have received today the ring and the pendant. until next time... :o) "
" A few months ago a friend of mine ordered the silver Emerald Tablets bracelet for me after hearing me talk about it for months. I came across your website by accident. A student of mine asked me to look up on the internet the meaning of a lotus flower and somehow I was directed to your website. I was shocked to see "Mer-ka-ba" at the bottom of the screen! At that time I had finished up some of the books by Drunvalo Melchizadek & the Emerald Tablets themselves. It makes sense that this particular student "accidentally" directed me to your website. He is an empath & a person who never lost his natural ability to heal people. He had not studied these matters at all- it was just his natural ability. This was causing some struggles for him. David, I really can't thank you enough. " " Thank you so much for reshaping my ring. I received it today and it fits perfectly. I also have your mobius ring in silver. I think your rings are beautiful! " " Just to let you know we received the ring today, my husband is very pleased with it, thank you very much! " " I received the ring yesterday. It looks amazing!
" My wife is absolutely delighted with your pendant. You can not imagine the pleasure she has wearing the Flower of Life on her chest everyday, the jewel is beautiful and she sends her many thanks to you. " " The pendant has arrived today and I so much love the Christ consciousness /Gaia grid. It is delicate, beautiful, magical and the colour is so feminine, a perfect blend of solar and venusian energy. Love in a little package! Thank you so much. " 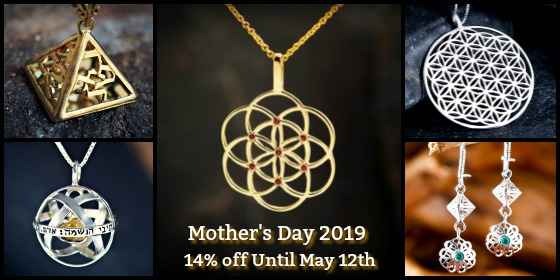 " I recieved the flower of life pendant Saturday, and will wear it everyday. If anyone ask where I got this, I will send them to you.
" Thank you for the jewelry - it was recieved on friday (4 sept). The rings fitted and my daughter was very happy for the pendant that she has worn since she got it! :) "
" Just wanted to let you know that I have received my order. I am looking for great things to happen in days to come. " " j'ai recu ma bague elle est GENIALE "
" Today I received my order. Both Genesa crystal with crystal pendant and Gordian knot pendant with chain are marvellous. I like very,very much. You made again two masterpieces!!! Love and Light from Germany "
" Just letting you know that the parcel arrived today. Thank you so very much it is beautiful. I love it. " " I received my merkabah yesterday and am wearing it ...Great job again and thank you all... "
I am very happy for your work, its very beautiful. " " My jewellery arrived a couple of days ago. It's fantastic and I'm loving wearing my piece. My friends also likes hers. Thank you! " " The package arrived last week. The pendant is as beautiful as all the previous ones. lift in my vibration. It is beautiful! I RECEIVED THE STAR TODAY AND IT IS EXACTLY WHAT I EXPECTED. PERFECT!!! THANK YOU SO MUCH. MAY THE LORD BLESS AND KEEP YOU UNTIL HE RETURNS TO REIGN ON EARTH. WE PRAY FOR THE PEACE OF JERUSALEM AND FOR ISRAEL.
" i am writing to let you know that i received today the package and the jewels are ABSOLUTELY MAGNIFICENT!!!!! I am extremely pleased with the quality and craftsmanship... "
" En el dia de hoy, lunes 31 de Agosto, he recibido mis 2 pedidos.
" Thank you so much from me and all my friends,who also now will have a wonderful gift s.o. Mer-KA -Bah. I have receive a package on Saturday morning.It was really fast. Thank You! Let a blessing be always with you.You doing a good work. " " I have received the ring today and it is beautiful.
" Just received my order. Thank you very much, I love it and I know my husband will love it too. Thank you and I will be ordering more in the future. " 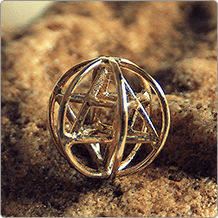 " I received the beautiful Metatrons Cube in Silver yesterday, it is so beautiful, I love it, it arrived to Canada very quickly as well, faster than I thought. 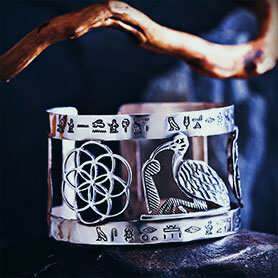 The energy from it is amazing, thank you and blessings, Laura "
" I received it in good order and am very pleased with it. Thank you for the beautiful jewelry. " " My four rings arrived yesterday, just in time to give one to my daughter for her birthday. Thank you very much. I've been telling my daughter the story of "This too will pass" for years and it was so nice of you to include a little script of this story with the ring. Thank you very much. I'm very happy with both the workmanship and the service. " I have now received my package. It is beautiful, thank you, thank you, thank you! May you both be infinitely blessed! " " At the 21st of august I received the rings. They really are very beautiful. You have done a marvelous job. My girlfriend and I are very happy to wear the rings as a token of our love. " " I wanted to let you know I received my necklace and absolutely love it! It is beautiful. Thank you very much again. " " I have received the ring, and it is gorgeous! Thank you very much for making such a beautiful piece of jewelry!!! " " The Hamsas are exactly what I wanted. I’m so glad I found your Website. Thank you so much for sending them so quickly and also for the explanatory scroll. Excellent service and thank you for your personal attention. " " I've received the order and wanted to thank you very much. Every one loved these "Flowers of Life" They are beautiful pieces of jewlry! " " good news for you ! Yesterday, we received a small packet from Israel. My wife got her order the beautyful flower of life pendant - silver. "best husband on the world". Thank you David ! " " I have received you fabulous jewellry - Thankyou!! I look forward to working with you, "
" I have just received the pendants and sense the beautiful intention that went into their creation. " " I received my ring on saturday!! I love it!!!!! " I just wanted to let you know I received my ring today and that I am extremely pleased with both the quality of craftsmanship and the speed in which the item was delivered. As Frank Herbert’s Dune holds a very significant place in my life I had hoped that the Dune Ring would be a piece that would remind me of that significance every day – My hope was very much fulfilled. I will certainly be coming back to your shop the next time I am in the market for a unique piece of jewelry. 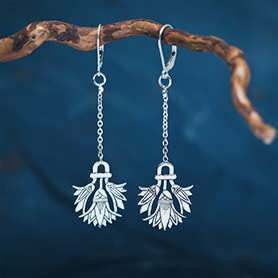 Thanks for an outstanding experience, "
" just letting you know I received my pendant(tree of life) its beautifull THANK YOU "
Sorry I have just only found time to email you, we received the rings and they are just what I wanted. Thank you so much. Thank you very much, I have received David's wonderful art works last week. I feel great energy from them.
" Hello! I received my commande. Merci for the work of David. I carry on me Shema Israel, and since I am in total union with myself and others. I found my place in our univers. Merci David for the good that you made. Blessings "
The two rings look superb and mine fits perfectly! My sister will get hers this weekend, so I'll see her reaction. Thank you very much to you all and David.